Living with an emotionally absent partner can be overwhelming. Constantly overcoming the silent distance can leave you with the sense that the give and take in your relationship has disappeared. But even the most broken relationship can be reinvigorated. 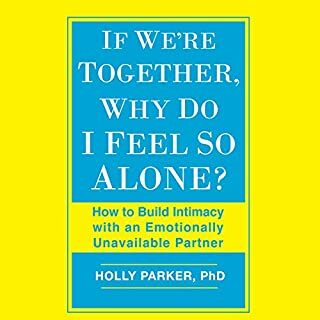 In helping real-world couples achieve fulfilling futures, Harvard University clinical psychologist Dr. Holly Parker has developed a program filled with practical exercises and powerful advice for individuals on both sides of an emotionally damaged relationship. Great ideas oncoming closer as a couple or exit a toxic relationship. Empowering for all.